Lilah arrived with us due to the arrival of a new baby, Lilah found the new baby quite overwhelming and her owners felt that they could no longer meet her needs. Lilah is a typical German Shepherd and can be quite vocal, she is high energy and will need someone fit to exercise her. Lilah likes dogs her own size and plays well with other male dogs she’s met here at the kennels. She’s never met a cat. Lilah hasn’t been around many children so any children should be at least 8 years of age. We would be delighted to find Lilah a home with someone who has experience of German Shepherds. We do not rehome large high energy dogs like Lilah to flats and ideally she should have her own secure garden. 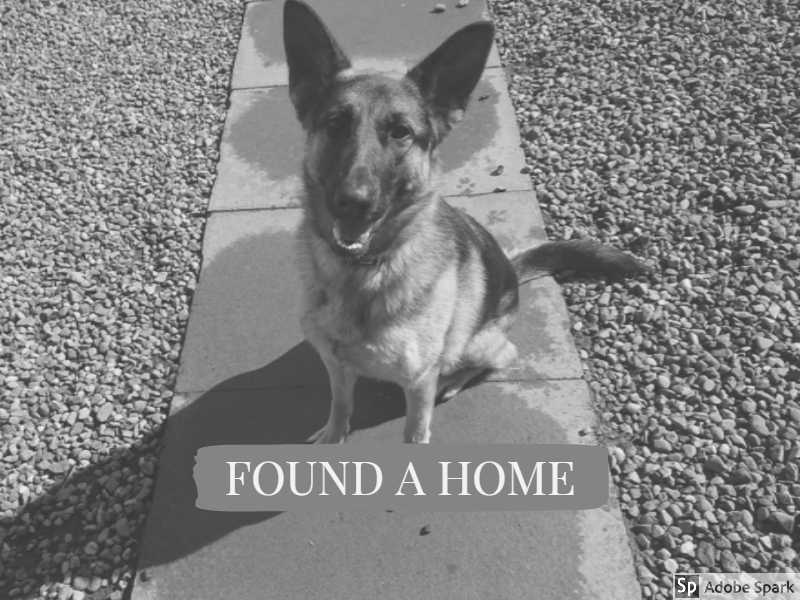 This entry was posted in Found a Home and tagged Alsatian, german shepherd, GSD, Rescue Dog.